Membership. To qualify for enrollment in Le Club Voyage, guests must complete one voyage at full fare,* which includes most promotional rates offered in the general marketplace by Azamara Club Cruises. After guest completes qualifying voyages, the membership level will automatically advance to the applicable membership level. Guests will enjoy the new Azamara membership benefits on their next voyage on Azamara Club Cruises. *Complimentary sailings, Certificates (excluding charity certificates), Seminar at Sea, Charter voyages, Travel Agent rates, Interline guests and employee rates are not eligible for the benefits of Le Club Voyage (“Restricted Rates”). Royal Caribbean Cruises Ltd. Reciprocity Program. As part of the Royal Caribbean Cruises Ltd. (RCL) family of brands, Azamara Club Cruises offers reciprocal membership benefits between members of the Captain's Club loyalty program at Celebrity Cruises and the Crown & Anchor loyalty club of Royal Caribbean International. Le Club Voyage members have the opportunity to enjoy benefits onboard sister-brand ships at the equivalent level as Le Club Voyage membership, starting at the Explorer level. Some Crown & Anchor levels do not offer reciprocity for Le Club Voyage members. 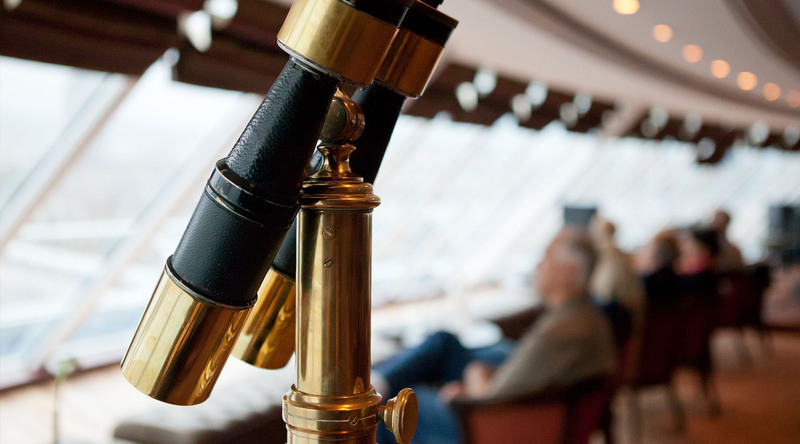 Captain's Club members (all levels) will enjoy the benefits of the Le Club Voyage tier levels that correspond to Captain's Club credits earned. Crown & Anchor members who have reached the Platinum level or higher will enjoy the benefits of Le Club Voyage tier levels that most closely correspond to Crown & Anchor credits earned. See below for details. Until further notice, guests who sail on Azamara Club Cruises or Celebrity Cruises will earn Club Points or Captain’s Club Points toward their memberships in both Le Club Voyage and Captain's Club, regardless of which brand they sail. Both Captain's Club and Le Club Voyage members will enjoy the benefits of their tier levels on both lines. Program terms are subject to change. Enrollment. Guests may enroll while onboard by contacting the onboard Cruise Sales Manager or by visiting eConnections where any of the workstations can be used to enroll (free of charge). Guests can also enroll through AzamaraClubCruises.com/LeClubVoyage or by calling the Le Club Voyage desk toll-free at 1.888.532.5828 for U.S. and Canada, or for outside of U.S. and Canada, click here. Global Program: Program execution “between voyages” may vary from country to country. Quarterly Tactical Member Offers: This program offers Le Club Voyage members the opportunity to book select future sailings at a 10% savings, subject to availability. A list of new sailings will be provided once every three months. Savings are for new bookings only and are available to individual or group reservations. 10% savings apply to the cruise fare only; savings do not apply to taxes, fees & port expenses, air, or any other non-cruise component booked. Offer is combinable with Azamara Club Cruises general marketplace offers, back to back savings, onboard booking savings, and single supplement savings. Offer is not combinable with certain restricted fares, best price guarantee rates, incentive groups, contracted groups, or charter bookings. Terms may vary by country. Onboard Parties and Activities. All onboard parties and activities are scheduled at the discretion of ship management based on itineraries and other activities. Terms may vary by country. Hosted Le Club Voyage Sailings: These sailings will be planned yearly. Special events and activities will be planned around the ship’s destination. Participation fees may apply to certain activities. These voyages will be announced to Club members about one year out. Azamara may change or cancel the hosted Le Club Voyage activities in whole or in part at any time. Terms may vary by country. Refer & Receive Program: Offer available only to Le Club Voyage members (“Members”) who have previously sailed with Azamara Club Cruises, and guests referred by Member who have not previously sailed with Azamara Club Cruises (“Friend”). Friend must book a cruise on or after November 19, 2015 and sail on or after November 19, 2015. Bookings created prior to November 19, 2015 that are cancelled and rebooked are not eligible. Eligible bookings qualify the Member to receive a $300 USD Future Cruise Credit (“FCC”); Friend is not eligible to receive a FCC. FCC will be issued in the form of a FCC Certificate. FCC amount will be converted to the currency in which cruise is booked. One FCC will be issued per new reservation; all guests in reservation must be new to Azamara Club Cruises. Member must submit a Loyalty Refer & Receive form at azamaraclubcruises.com/le-club-voyage/le-club-voyage-program/member-savings/refer-receive-program within fourteen (14) days after Friend’s booking date. Member must provide Friend's booking number, full name, and email, all of which are subject to verification by Azamara Club Cruises. Member and Friend must each be at least 18 years of age. Friend may book any Azamara Club Cruises voyage and may enroll in the Le Club Voyage after completing the first sailing. There is no limit on the amount of referrals. Member may apply up to three (3) FCCs to one (1) reservation. FCCs may be applied to new or existing reservations. FCC will be issued to Member one (1) week after Friend completes the sailing, and a notification will be sent to Member’s email address provided on the Offer Redemption Request Form. Azamara Club Cruises is not responsible for any incorrect email address or information provided. If Member’s reservation with an applied FCC is cancelled, the FCC will not be reissued. FCCs are non-transferable and must be applied to a reservation within one (1) year of Certificate issue date, which is stated on the Certificate. Certificate will have redemption instructions. Azamara Club Cruises reserves the right to reject any Offer redemption request, discontinue or change the Offer without notice. Offer not available to reservations made under Complimentary Cruises, Interline Rates, Individual & Group Incentive, Contracted Groups, Charter Sailings, Net Rates, Travel Agent or Royal Caribbean Employee Rates. CRUISE AGAIN “Onboard Booking Offer”: OUR CRUISE AGAIN “ONBOARD BOOKING OFFER” PROVIDES YOU WITH TWO DISTINCT OFFERS DEPENDING ON WHETHER YOUR BOOKING IS CONFIRMED (WHICH REQUIRES A NON-REFUNDABLE DEPOSIT) OR OPEN (ALSO REQUIRES A NON-REFUNDABLE DEPOSIT), AS DESCRIBED BELOW. THIS OFFER IS ONLY AVAILABLE TO GUESTS WHILE THEY ARE SAILING ON AN AZAMARA CLUB CRUISES VOYAGE. Azamara’s CRUISE AGAIN “Onboard Booking Offer” (“OBO”) will provide the benefits of a percent savings based on their Le Club Voyage (LCV) level or as a first-time Azamara guest, for each qualifying booking made onboard while offer is available. CONFIRMED BOOKINGS: Adventurer guests will receive 4% savings, Explorer 5%, Discoverer 6%, Discoverer 7%, Discoverer Platinum 10%. First-time Azamara guests will receive 3% savings. Under the Confirmed Booking offer, guests will receive a US$200 onboard credit (OBC) per stateroom, which will be applied to the future cruise. OBC. The OBC has no cash value, is non-transferable, not redeemable for cash and will expire if not used by 10 pm on the final night of the cruise. Single occupancy bookings will receive a pro-rated OBC based on the single supplement rate paid for the cruise. Deposit. A reduced deposit equal to 50% of the amount normally required to be paid for bookings made in your country of residence must be paid, per person, at the time of booking for Club Balcony, Oceanview and Interior staterooms. Suite bookings require payment of the full deposit applicable in your country of residence at the time of booking. This deposit, less an administrative fee which varies based on country of residence, will be refunded if cancellation occurs prior to the applicable final payment due date. Changes. Changes (excluding cancellation of the booking) may be made to the ship or sail date of a confirmed booking once only prior to the final payment due date without incurring a change fee, and without losing your “Onboard Booking Offer”. If the booking is changed to a sailing that is further out than original sailing, the booking will retain the payment and penalty schedule of the original sailing. This ability to change the booking without incurring a fee is subject to the terms applicable in your country of residence, and may not be available in every country. Visit your Cruise Sales Team onboard and/or visit the Azamara Club Cruises website in your country of residence for more details and full terms and conditions. Further payments. Payments on your confirmed booking beyond the deposit required shall be due in accordance with the Azamara Club Cruises payment schedule applicable in your country of residence. Visit your Cruise Sales Team onboard and/or visit the Azamara Club Cruises website in your country of residence for more details and full terms and conditions. Cancellations. The cancellation policy applicable in your country of residence shall apply to onboard bookings. Your Confirmed booking may be cancelled and cancellation charges may apply under the applicable Azamara Club Cruises cancellation schedule applicable in your country of residence. Please see your CRUISE AGAIN Sales Team for cancellation policies applicable to your country of residence. OPEN BOOKINGS: Adventurer guests will receive 4% savings, Explorer 5%, Discoverer 6%, Discoverer 7%, Discoverer Platinum 10% on their future cruise. First-time Azamara guests will receive 3% savings. An “Open Booking” does not guarantee stateroom or sailing availability or cruise price. An “Open Booking” has no expiration date. Once a ship and sail date are selected and booking details finalized, the “Onboard Booking Offer” will be applied to the booking. An “Open Booking” may be applied against an Azamara Individual or group booking, but is not valid on any other cruise line, including any other affiliates of Azamara Club Cruises. Deposit. A non-refundable deposit equal to 50% of the amount normally required must be paid in your country of residence, per person, and full name for each guest will be required at time of booking. The minimum deposits required for all “Open Bookings” are non-refundable. The deposit is not refundable at any time after it has been paid. Changes. After a ship and sail date is selected and booking details finalized, no changes may be made to the ship or sail date. Further payments. Payments on your “Open Booking” beyond the non-refundable deposit required shall be due in accordance with the Azamara Club Cruises payment schedule applicable in your country of residence. Visit your Cruise Sales Team onboard and/or visit the Azamara Club Cruises website in your country of residence for more details and full terms and conditions. Cancellations. At least one name on the original “Open Booking” must remain the same throughout the life of the booking. Changing the original name will be treated as a cancellation. If the guest cancels an “Open Booking” the cancellation terms applicable to your booking in your country of residence will apply. The guest may apply for a refund subject to the terms of Azamara’s standard cancellation policy, less the amount of the non-refundable deposit. GENERAL: These terms and conditions apply to new individual bookings made on or after January 15, 2018. The “Onboard Booking Offer” is available only to new individual Azamara Club Cruises bookings made on or after January 15, 2018 onboard an Azamara Club Cruises vessel. All amounts stated are in U.S. dollars. OBO is combinable with Azamara’s general marketplace offers, back-to-back savings and single supplement savings. OBO may not be combined with certain restricted fares such as, but not limited to, Interline, travel agent and travel agent rates, family & friends, employee rates, shareholder benefits or net rates and may not be used on chartered voyages. As we value our relationships with our travel partners, unless we are advised otherwise your CRUISE AGAIN booking will be attributed to the travel partner associated with your current cruise booking. However, if you wish to have your booking reflect an alternative arrangement, please inform the onboard CRUISE AGAIN team at the time of booking and a form will be provided for you to sign as your authorization. Individual bookings may be transferred into non-contracted groups and higher deposits may be required. Individual enrollment may be converted and applied to a group booking. For information on transferring your CRUISE AGAIN Onboard Booking into contracted or non-contracted group space, please contact your local Travel Professional or Azamara Club Cruises. Offer is subject to change without notice; capacity controlled, and may be withdrawn at any time. Azamara reserves the right to correct any errors, inaccuracies or omissions and to change or update details at any time without prior notice. ©2017 Azamara Club Cruises. Ships registered in Malta. 15-Jan-2018. Earned Complimentary Nights: Complimentary nights have no cash value, are not redeemable for cash, are not transferable, and must be booked within one year after date earned on a new reservation. Complimentary nights can only be redeemed on sailings 7-nights or longer. Complimentary nights cannot be used with Cruisetours. Guests are responsible for paying pro-rated amount of prevailing cruise fare rate at the time of booking (calculated as the per night price of the cruise times the numbers of nights not covered by the certificate), as well as full taxes, fees & port expenses for total duration of the cruise. Complimentary Nights can only be combined with the Le Club Voyage Onboard Booking Program, Back to Back Offer, and the Le Club Voyage Refer & Receive Future Cruise Credit. Complimentary nights cannot be combined with any other program, promotion, Restricted Rates, Contracted Groups or Incentive Groups. Complimentary nights earned when reaching different levels cannot be redeemed together. A balance of any unused complimentary nights can be redeemed only by Discoverer Platinum members who book 7-9-night voyages within one year of when the complimentary night(s) was awarded. Stateroom category will be based on category guest most frequently purchased on Azamara. Complimentary nights are earned against original stateroom category booked on cruises departing on or after January 1, 2015. To earn complimentary nights, members must have 50% of their past voyages on Azamara, must have sailed with Azamara within the past 3 years, and must have moved up in tier on or after January 1, 2015. Terms may vary by country. Onboard Savings on select purchases. Depending on a loyalty level, guests will receive savings on Signature Spa Treatments ranging from 10% to 25%. Discounted Signature Spa Treatments are excluded from this offer. These savings will be applied onboard the ship. Guests in the Discoverer tiers will also receive 5% savings when spending $1,000 or more in Fine Jewelry, or 10% savings when spending $2,000 or more in Fine Jewelry. Discounted Fine Jewelry is excluded from this offer. Terms may vary by country. Priority Check-In: This benefit will be available to the three Discoverer member levels. This benefit may not be available in all embarkation ports due to logistics considerations. Complimentary Internet: This benefit will be available to all Le Club Voyage members. Members will receive the following complimentary internet minutes. Le Club Voyage members who stay in Suite Staterooms will receive their Suite amenities, and not their Le Club Voyage benefits for complimentary internet. Laundry: This benefit will be available to Explorer members and above. Those eligible will receive one bag of laundry per stateroom, per 7-night voyage. Le Club Voyage members who stay in Suite Staterooms will receive their Suite amenities, and not their Le Club Voyage benefits for laundry service.